Today we would like to present a filigree boys' sword. This is a one-handed sword for training. 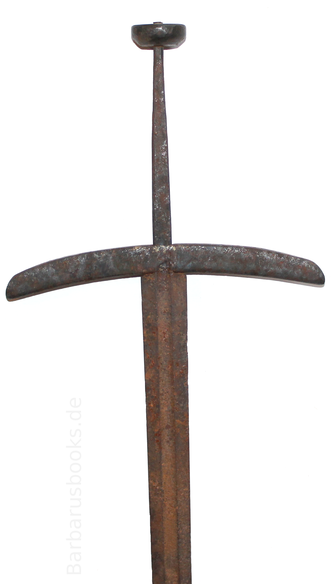 The boy could hit with this sword as well as sting - the narrow blade with sharpening edges on both sides ends pointed. The guard is square. Wire was wrapped around the conical tang for grip, but this has been lost over time. 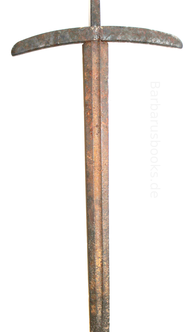 Detailed view of the boys' sword with pommel, tang, guard and sword blade. Close-up of the sword blade. The blade is narrow and pointed. The sword was also suitable for stabbing.